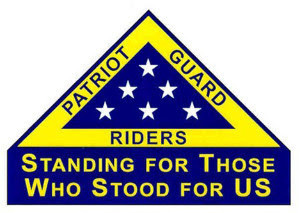 The family of Mr. Russell R Burke, a US Navy Veteran, requests the presence and participation of the San Antonio Patriot Guard Riders at the services, LEO supported procession, and graveside rendering of military honors of their loved one. Russell R. Burke, age 87, passed away March 23, 2019 in San Antonio, TX. He was born on August 8, 1931 in Lincoln, NE to William & Ida Burke. Russell graduated from Thomas Jefferson High School (San Antonio, TX) in 1949. He was a past member of America Legion Post # 2 and the Lions Club-Bexar County China Grove. Russell was a proud U.S. Navy Veteran and a loving husband, father, grandfather and friend. He and Betty have been long time members of Northeast Baptist Church in San Antonio but also attended many other churches of different faiths. Russell was an accountant in the business office at San Antonio Junior College for 25 years. He was also a tax preparer since 1958, and later started Burke Tax Service with his brother John in the mid 1980’s. He was a quiet, humble, hard-working man who never called a lot of attention to himself. He was a huge fan of Country Music. Russell was quite an adventurer and enjoyed traveling especially to Nashville and Dollywood. If a theme park was around, he was there, especially if a roller coaster or rides were involved. In the last few years, he had fun traveling on the tour bus to Coushatta. When family or friends came to visit, they were treated to a “tour” of San Antonio. He took pride in showing off his city and all its attractions. Russell never met a stranger and loved a good conversation with people of all ages. He loved to fish at the coast, even if he didn’t catch anything; just being out on the water with friends and family was just fine with him. Above all, spending time with his huge extended family made him the happiest.